Solidarity with the people of Papua and student care advocacy and human rights monitoring agencies of Indonesia, Monday (25/3) held a demonstration in front of the Monument Mandala liberation of West Irian, Jalan Sudirman, Makassar. The government is again pushing for the ratification of a global statute establishing the International Criminal Court, a topic on which deliberations stalled in the House of Representatives since 2004. "Indonesia will ratify the Rome Statute soon,” presidential adviser Albert Hasibuan said on Wednesday. Ratification of the statute, which Indonesia signed in 1998, will allow citizens to be tried at the International Criminal Court in The Hague, a condition some have been anxious about given the country’s checkered human rights record. The effects of growing religious intolerance in Indonesia go much deeper than just limiting freedom to worship and have the potential in some cases to affect the victims’ entire lives, activists say. 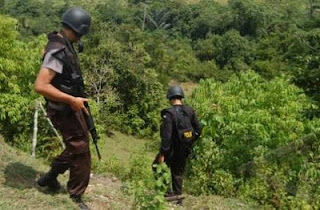 "The domino effect of the intolerance is tremendous, not only are people prevented from the freedom to worship their God but their other rights have been denied,” Palti Panjaitan, the national coordinator of the Solidarity of Victims of Religious Freedom Violations (Sobat KBB), told the Jakarta Globe recently. 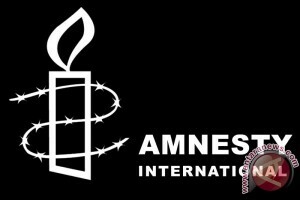 London (ANTARA News) - Amnesty International kecewa terhadap pernyataan pemerintah Indonesia yang tidak akan membentuk Pengadilan Hak Asasi Manusia (HAM) mengadili mereka yang bertanggung jawab terhadap penculikan dan penghilangan paksa 13 aktivis politik selama tahun 1997 dan1998.